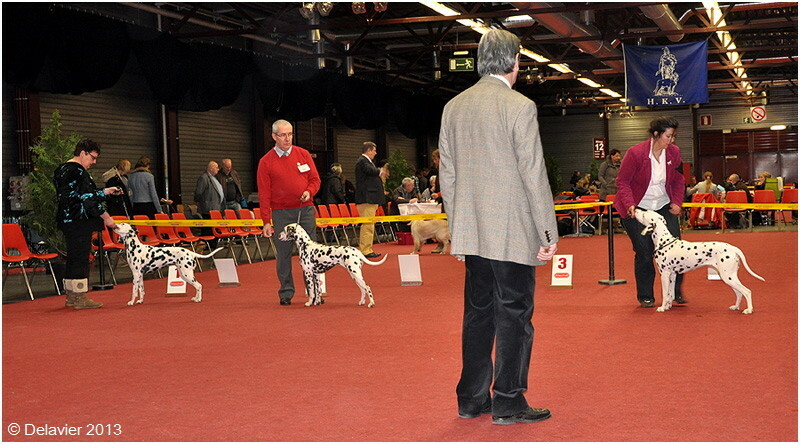 LORS DES EXPOSITIONS, IL Y A DIFFERENTES CLASSES ET CHAQUE FOIS POUR LES MALES ET LES FEMELLES. 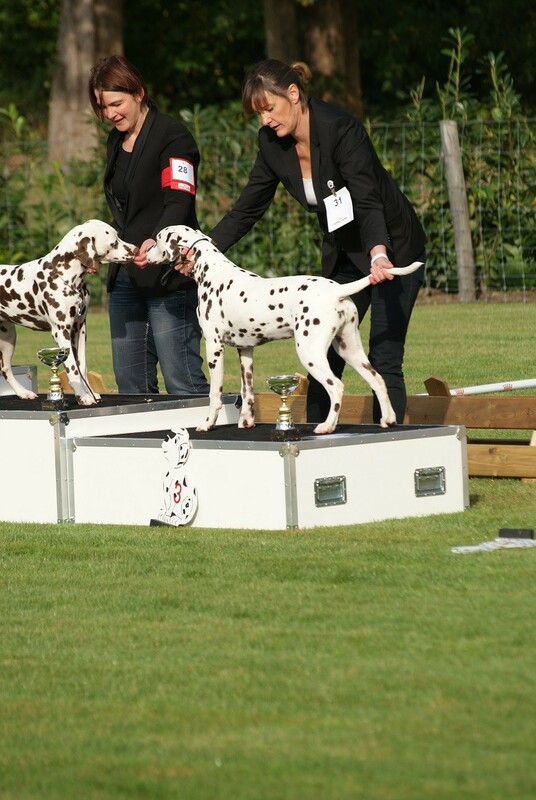 LE 1° EXCELLENT PEUT CONCOURIR AVEC LES AUTRES CLASSES ET OBTENIR LE CAC ( certificat d'aptitude au championnat national de beauté), LE CACIB (certificat d'aptitude au championnat international de beauté). 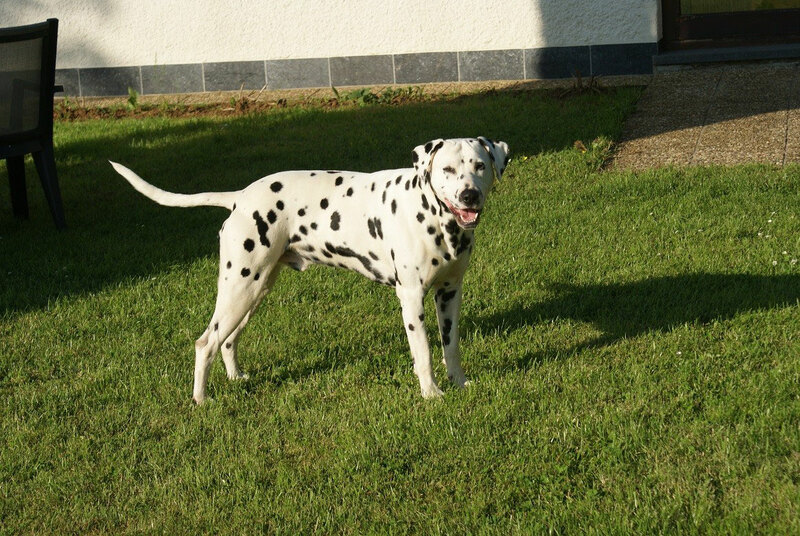 JOIE D'ETRE ENSEMBLE POUR CETTE JOURNEE OU, EN PLUS, LE SOLEIL ETAIT DE LA PARTIE.... CE QUI A PERMIS DE FAIRE LES JUGEMENTS DEHORS.... MAIS, SEMBLE-T-IL, A PERTURBE UN PEU LES CHIENS PAS HABITUES A ETRE PRESENTES SUR L'HERBE !!! 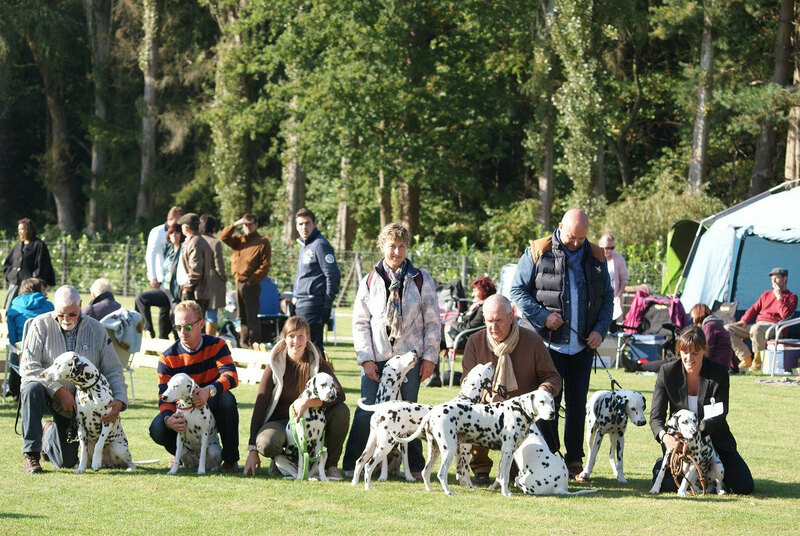 PLUSIEURS CHIOTS (ET ADULTES) DU BOIS DU RONCHY ETAIENT PRESENTS... LA PHOTO DE FAMILLE EN EST TEMOIN ! ETAIENT PRESENTS EGALEMENT: JEIRO, NADE, ONE (DEVENUE KENYA J), O'HAPPY. 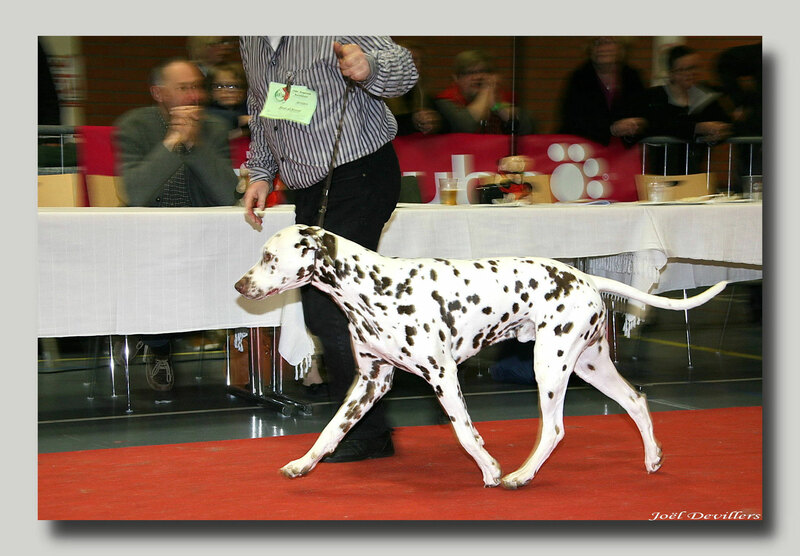 VALDAÏ, EN CLASSE VETERAN, A OBTENU UN 1er EXCELLENT ET BEST VETERAN. 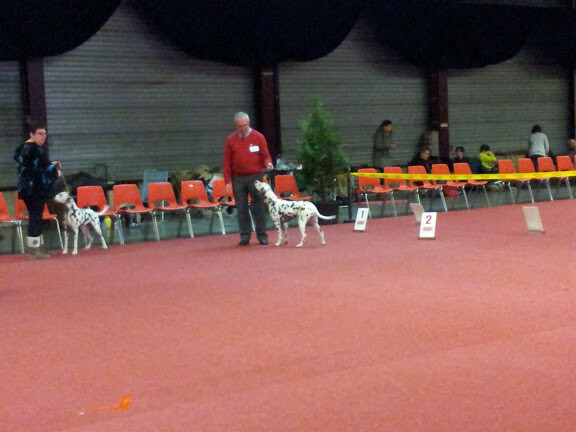 KENYA, EN CLASSE OUVERTE, A OBTENU UN 1er EXCELLENT, LE CAC ET BOS. 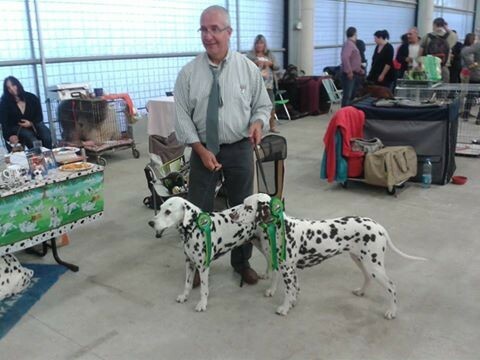 JE SUIS TRES FIER DE CES RESULTATS D'AUTANT QUE JE NE M'Y ATTENDAIS PAS DU TOUT. 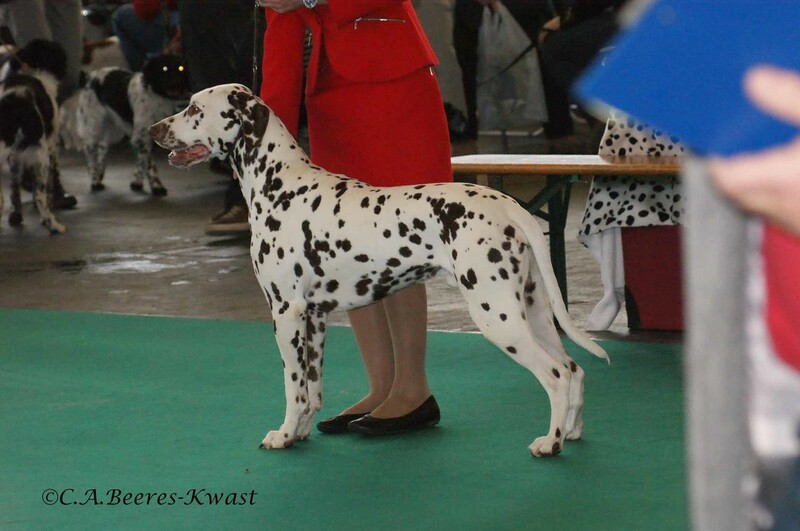 JEIRO A PARTICIPER A L'EXPO D'AMTERDAM LE 15 DECEMBRE 2013. 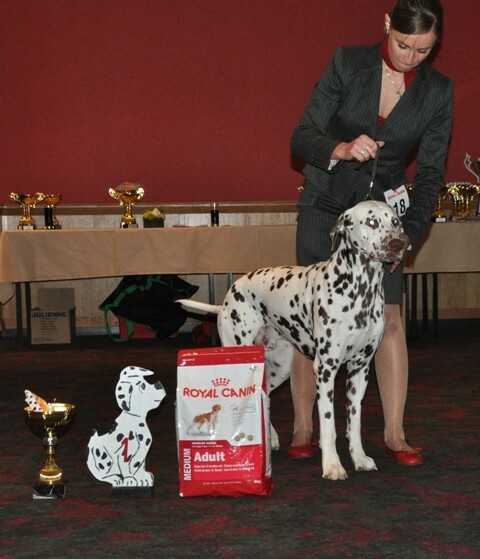 IL A RECU UN 2° EXCELLENT, LA RCAC ET LA RCACIB. 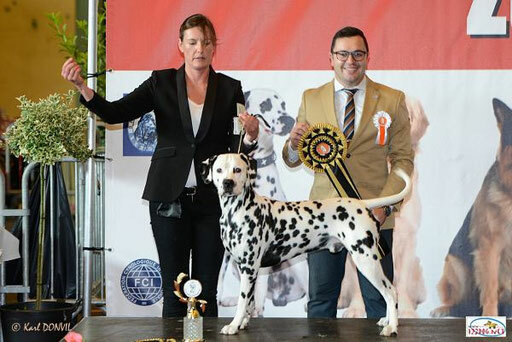 BRAVO A JEIRO, A CINDY QUI L'A PRESENTE. 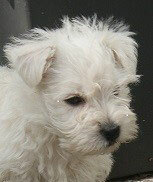 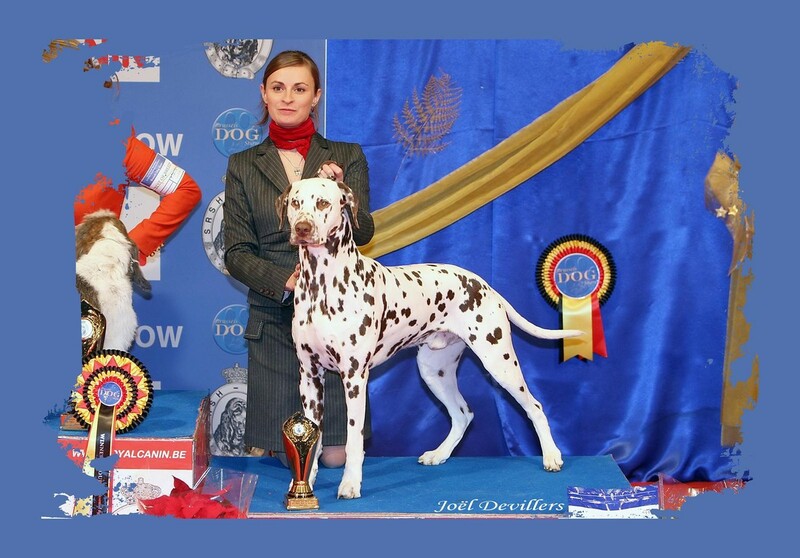 FELICITATIONS A MARIE-JEANNE, JEAN-CLAUDE ET LOTTY. 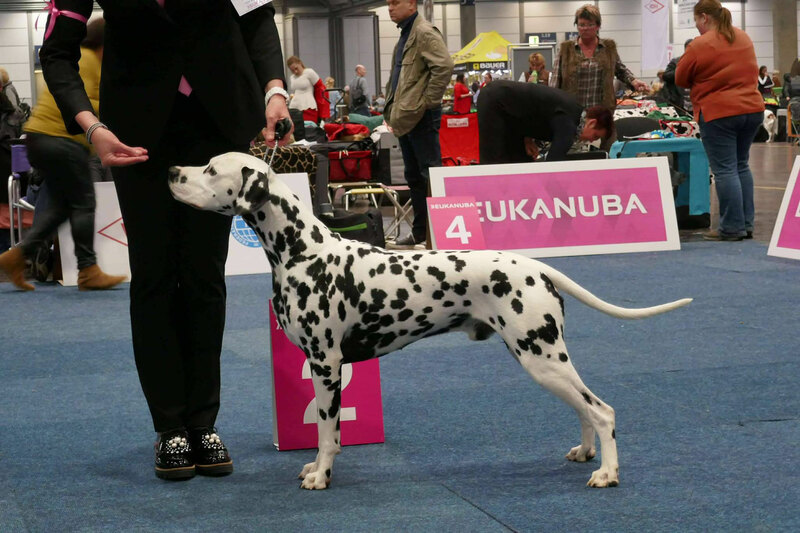 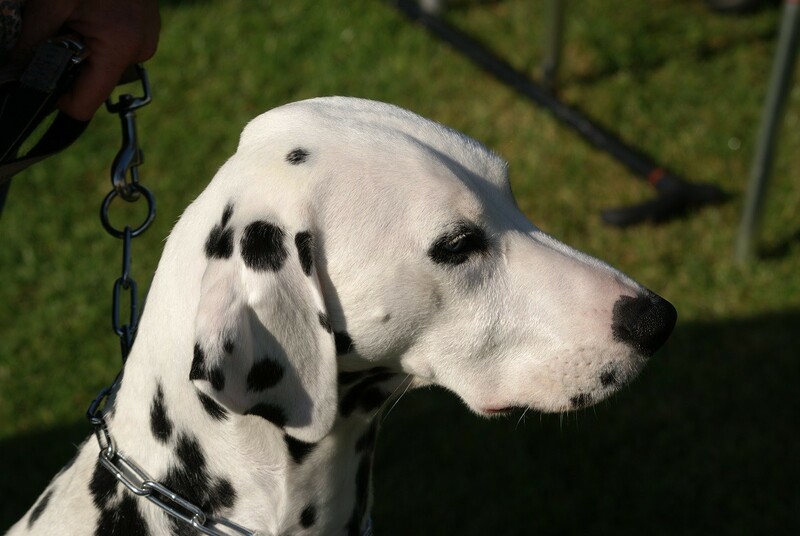 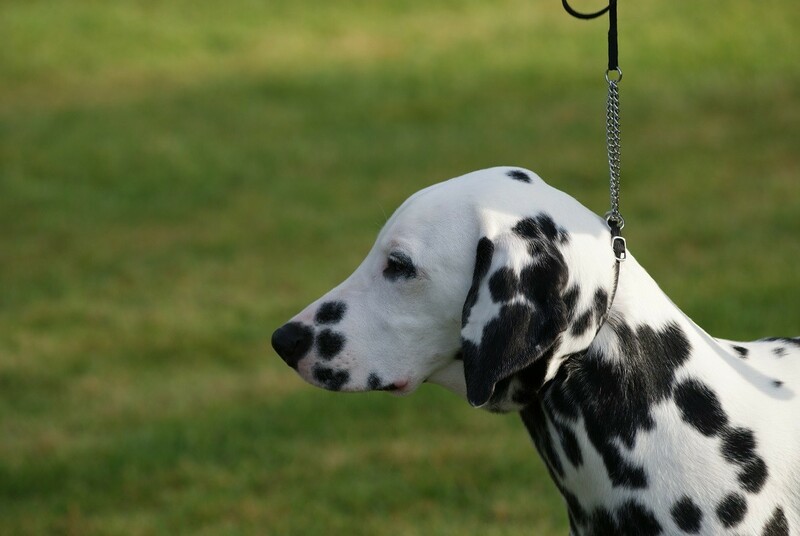 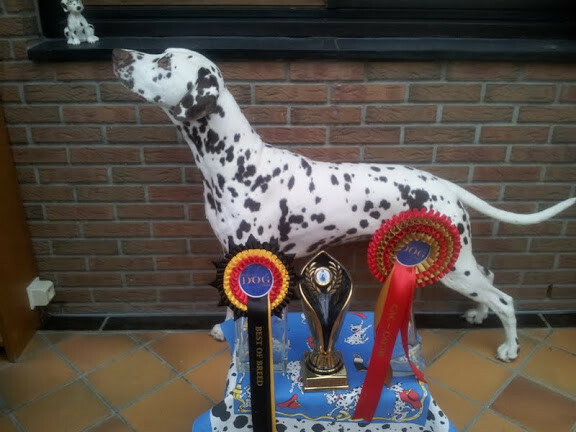 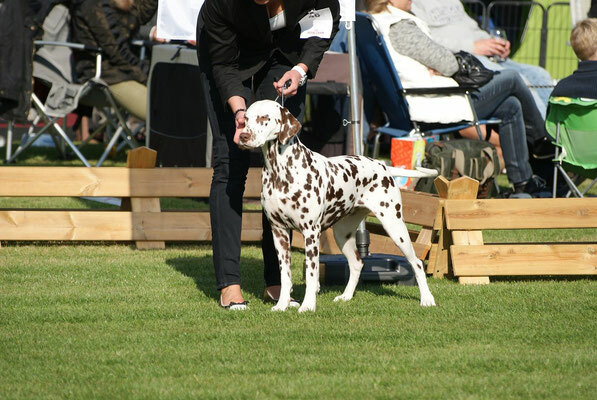 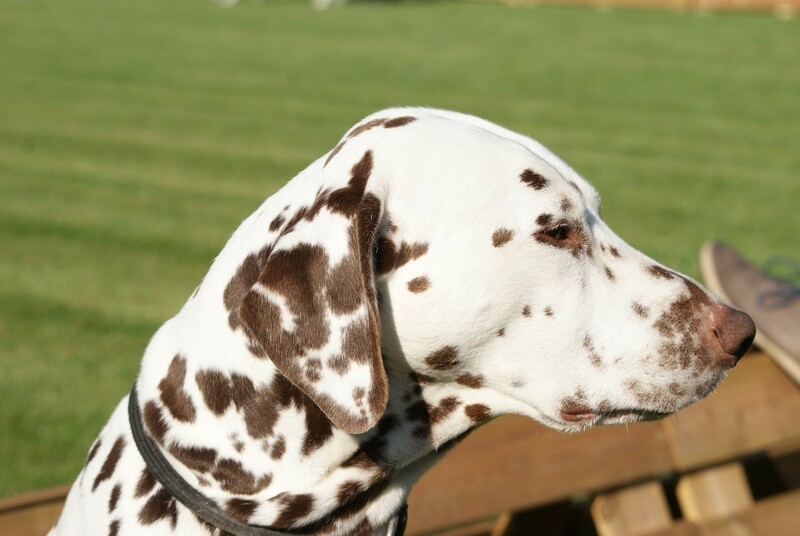 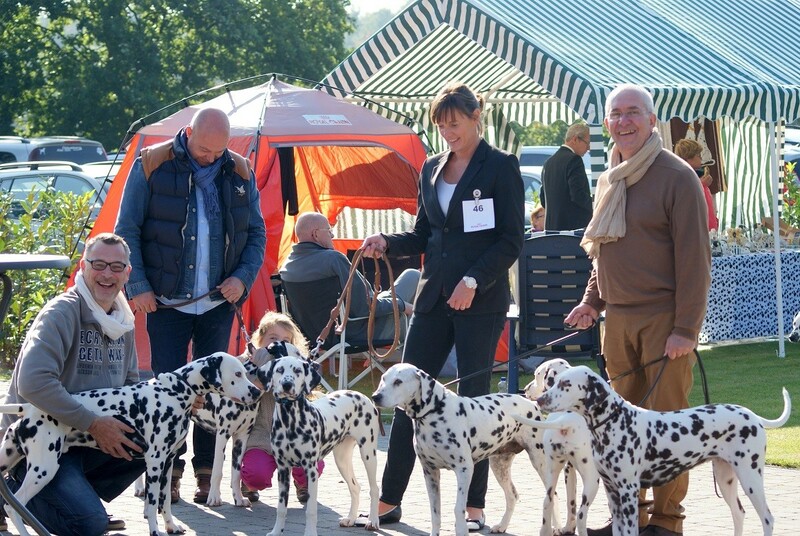 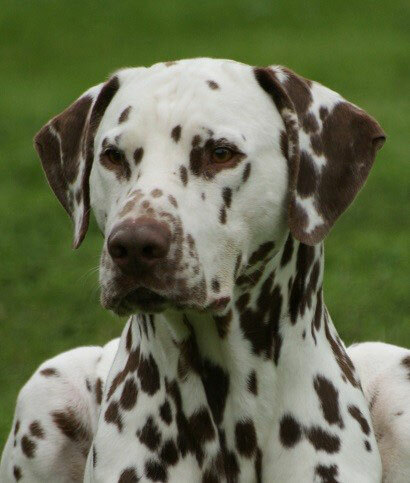 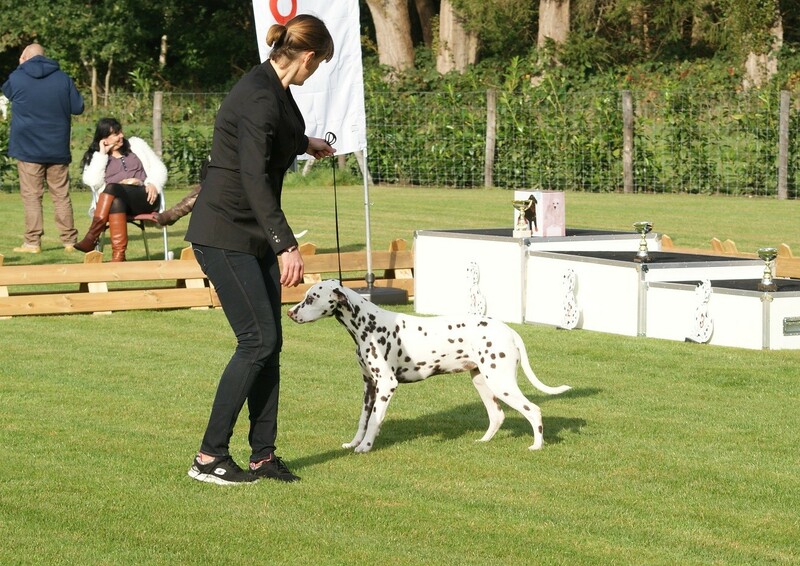 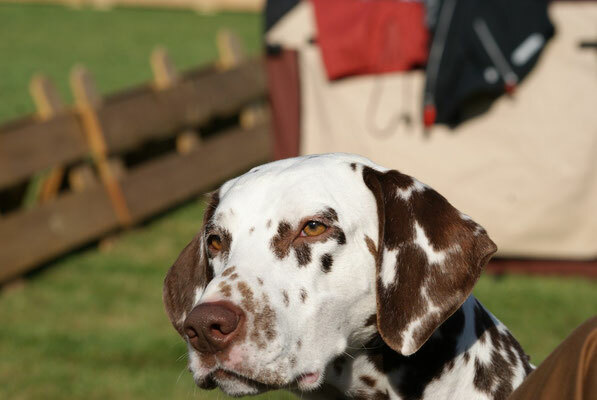 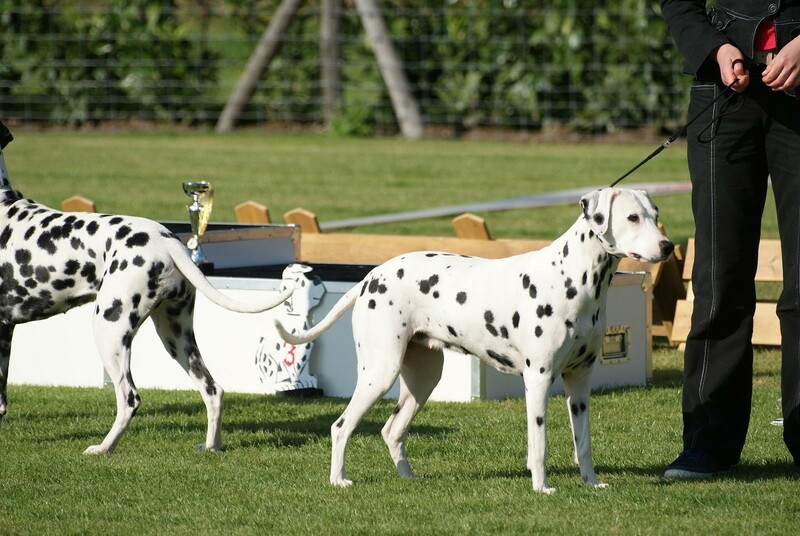 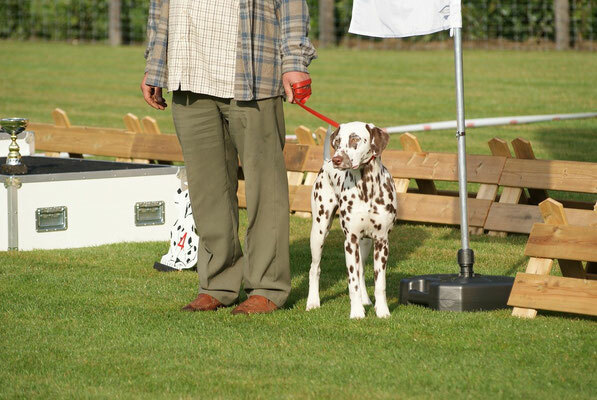 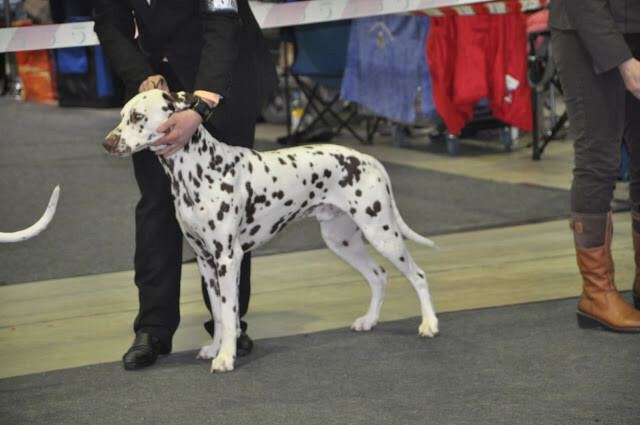 JEIRO A DONC OBTENU UN 2° EXCELLENT EN "CLASSE CHAMPION"
ET LE TITRE DE "MEILLEUR CHIEN D'ELEVAGE BELGE"
JULIO, DONT C'ETAIT LA 1ere EXPO A 3 ANS 1/2, A OBTENU UN "TRES BON" EN CLASSE OUVERTE. 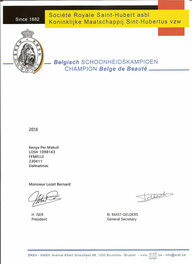 CELA LUI PERMET D'AVOIR LE CERTIFICAT D'ELEVAGE DE LA SRSH. 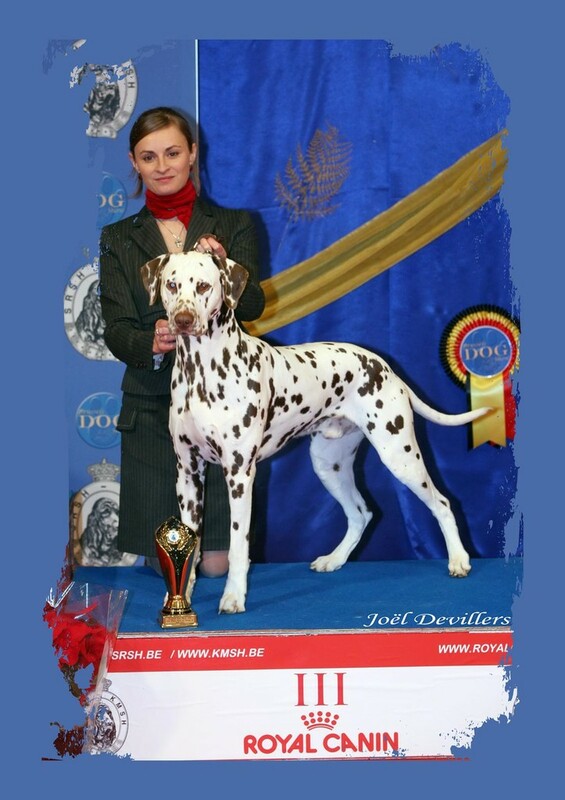 FILS DE VALDAÏ ET FRERE DE JEIRO, IL DEVIENDRA BIENTÔT, QUAND KENYA LE VOUDRA !!! 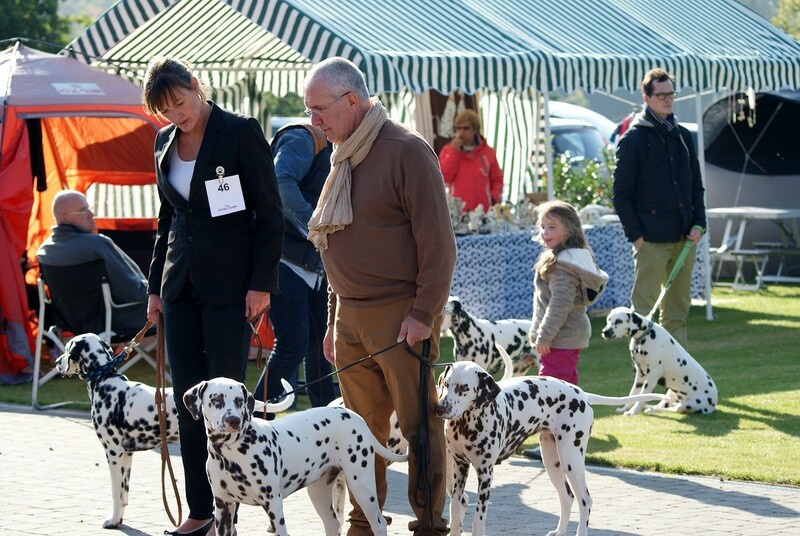 LE PERE DE LA PORTEE 2014. 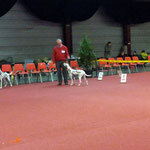 CE 31 MARS 2013, JEIRO, ETANT 1° EXCELLENT ET CAC (EN CLASSE OUVERTE), EST DEVENU CHAMPION DU LUXEMBOURG. 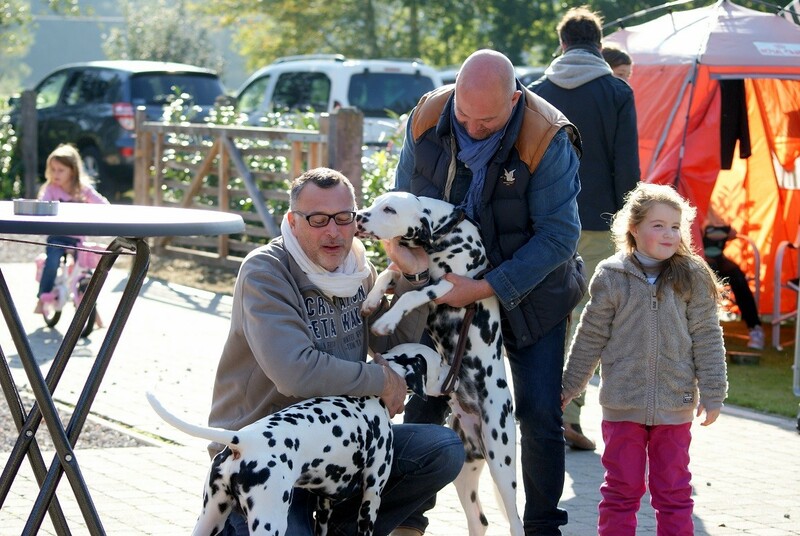 SI SES MAÎTRES SONT TRES FIERS DE LUI, SA MAMAN VALDAÏ ET SON ELEVEUR... SONT HEUREUX D'AVOIR UN CHIEN AUSSI BEAU QUE BON ! 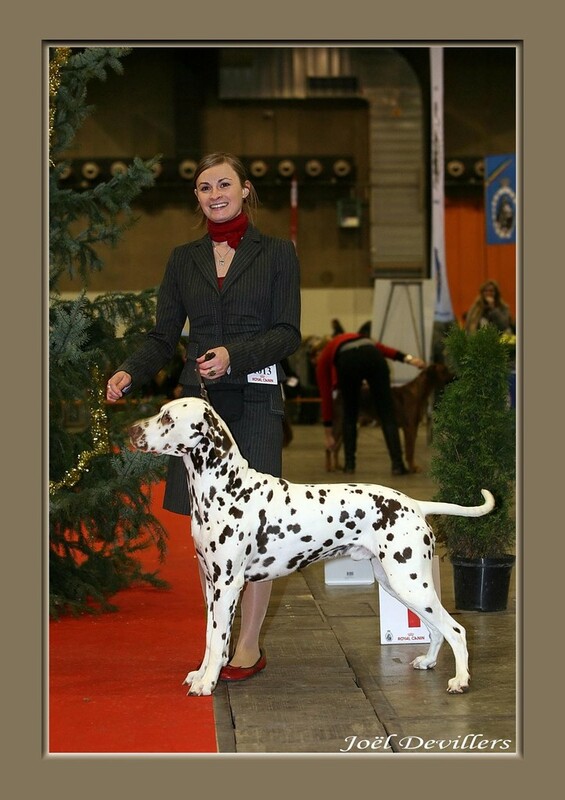 MERCI A MARIE-JEANNE ET JEAN-CLAUDE. 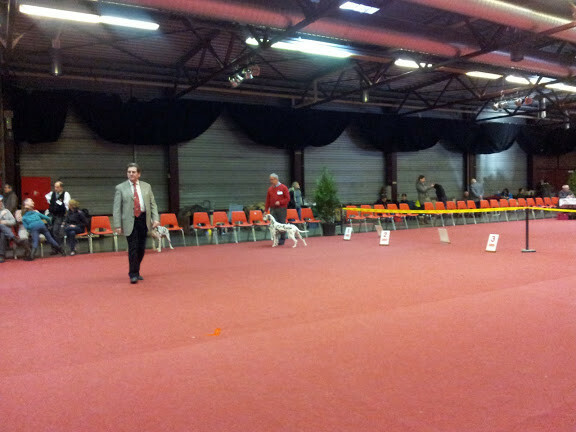 EN CLASSE OUVERTE, JEIRO A OBTENU UN 1° EXCELLENT, LA RCAC ET LA RCACIB. 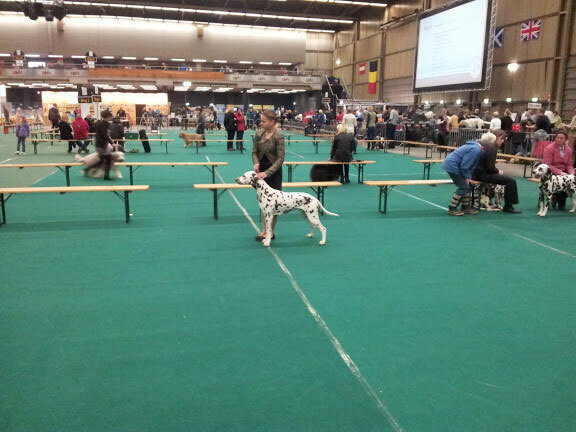 CE 26 JANVIER, KENYA A PARTICIPE A L'EXPO DE MOUSCRON. 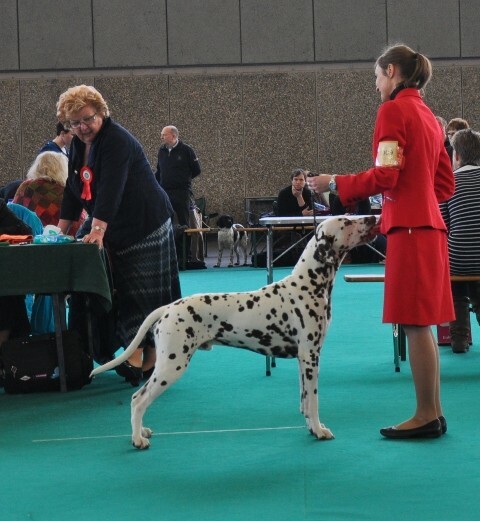 INSCRITE EN CLASSE OUVERTE, ELLE A OBTENU UN 2° EXCELLENT MAIS A AUSSI EU LA RCAC ET LA RCACIB. 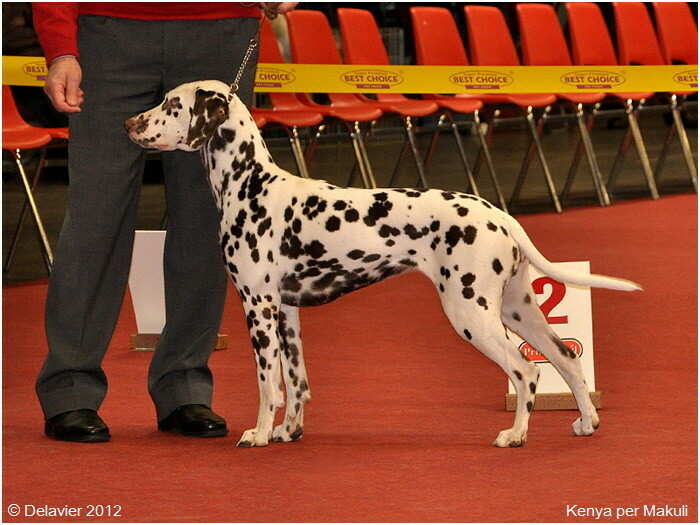 POUR LA 1° FOIS, KENYA ETAIT INSCRITE EN "CLASSE OUVERTE". 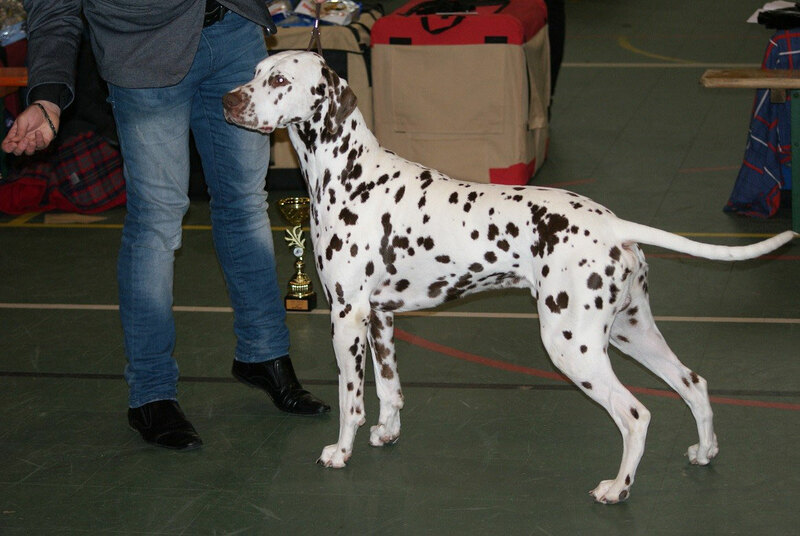 ELLE A OBTENU UN 2° EXCELLENT. 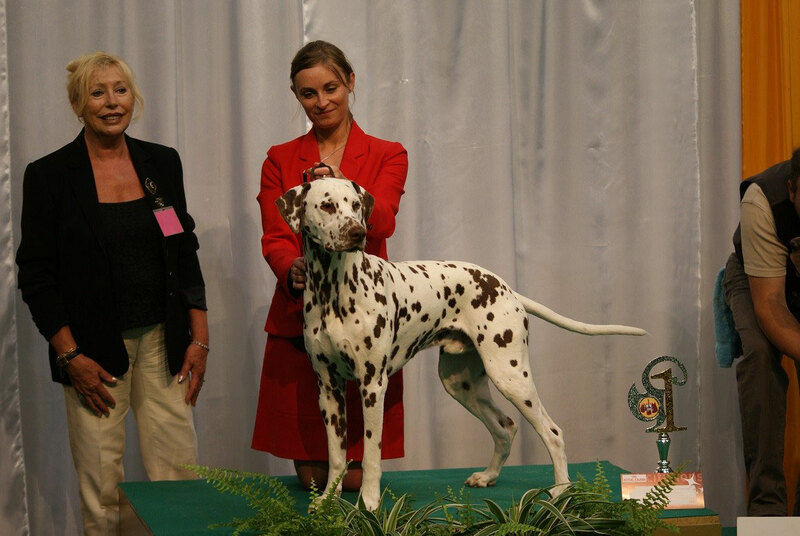 UN PEU DECU MAIS C'EST AUSSI CELA LES EXPOS! DANS 15 JOURS ELLE SERA A MOUSCRON... ON ESPERE FAIRE MIEUX! 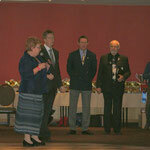 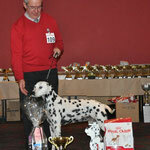 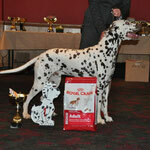 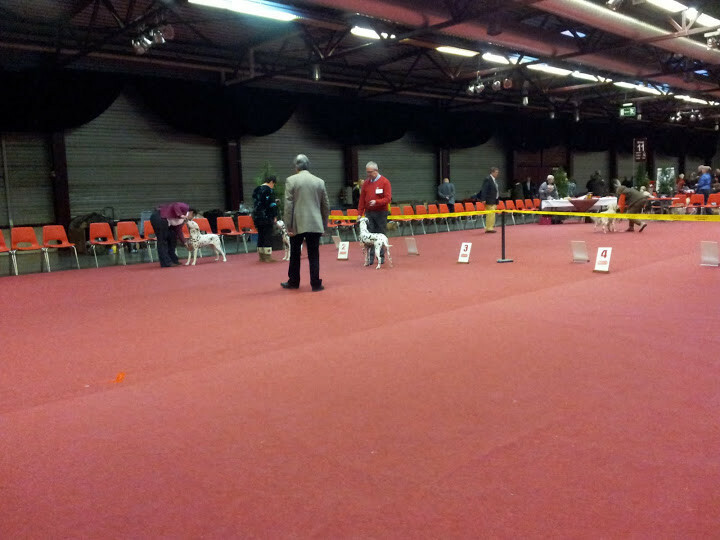 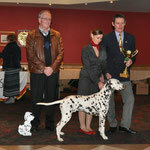 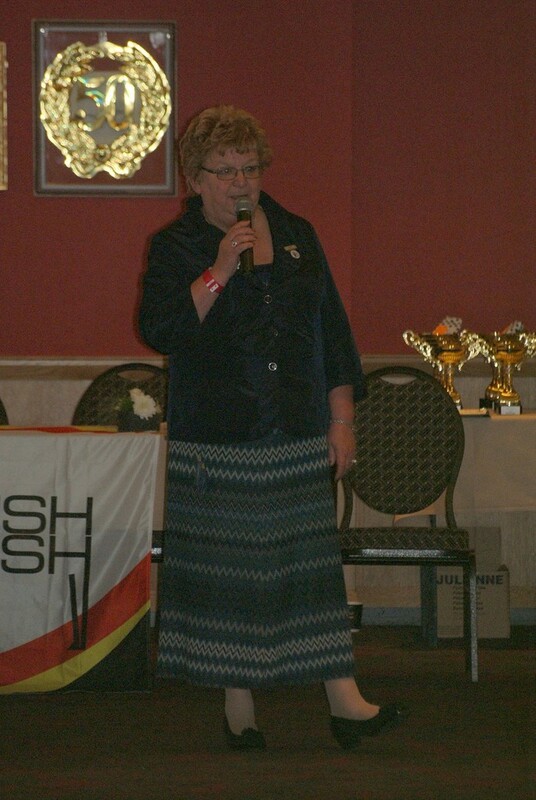 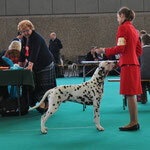 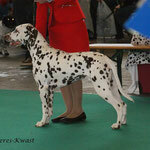 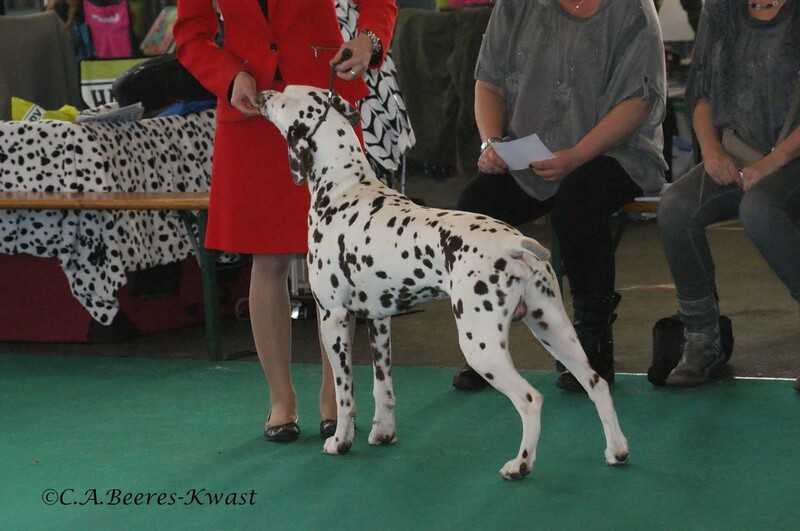 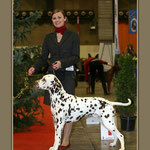 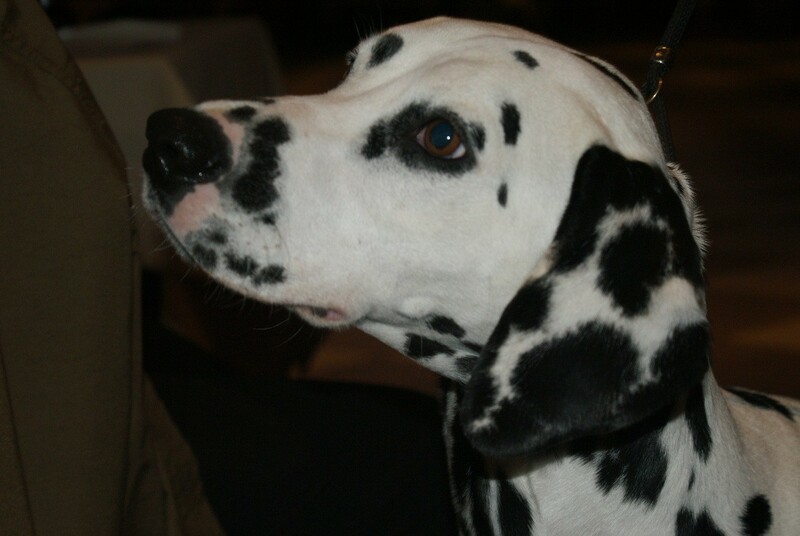 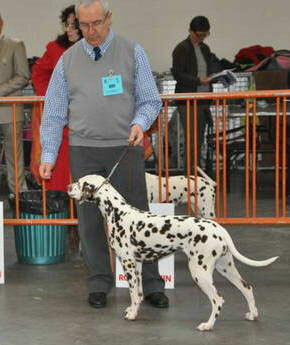 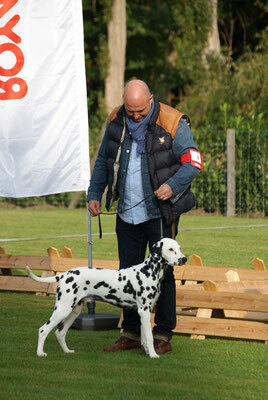 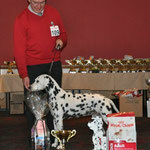 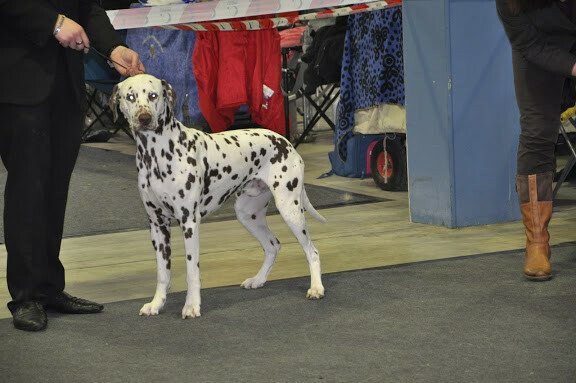 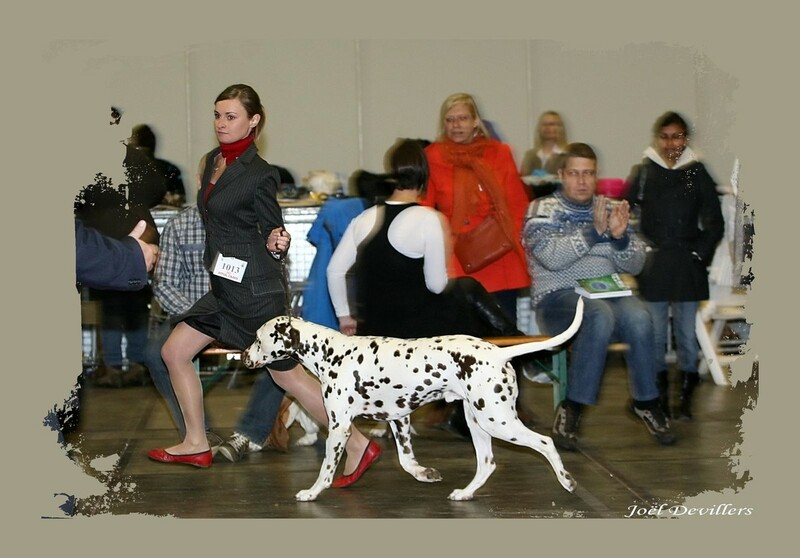 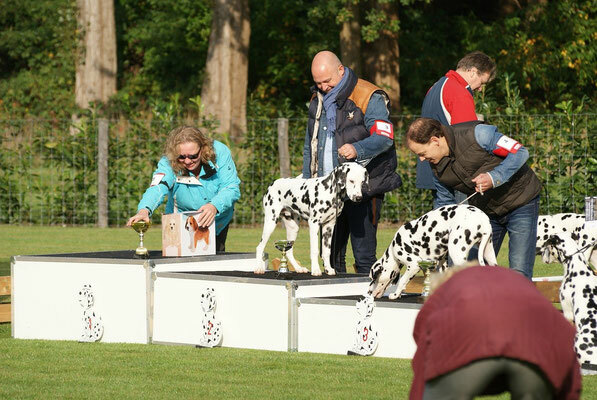 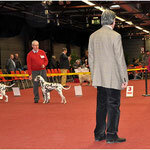 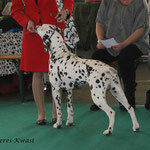 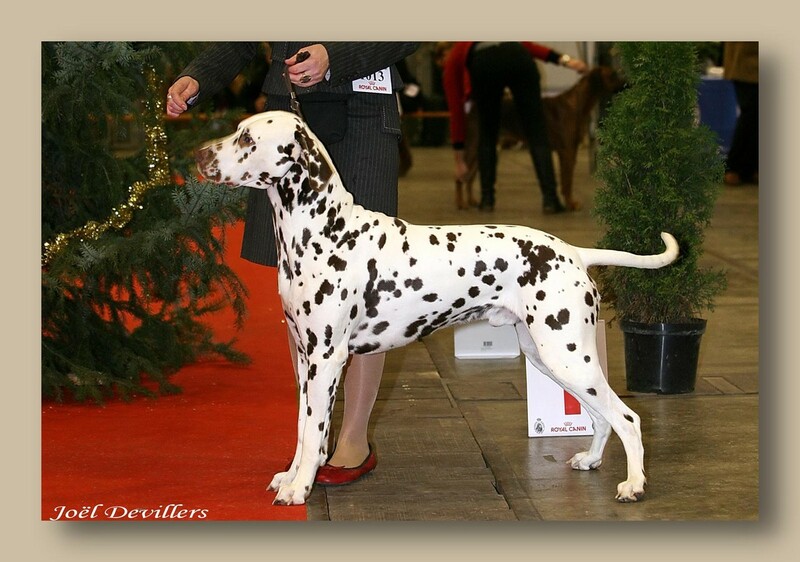 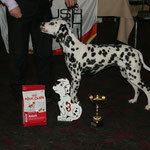 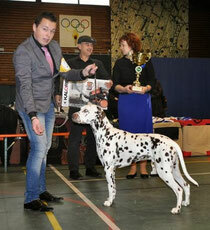 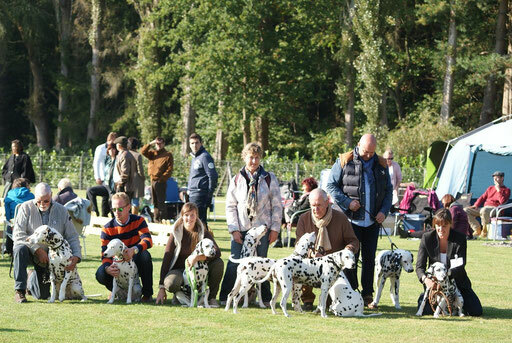 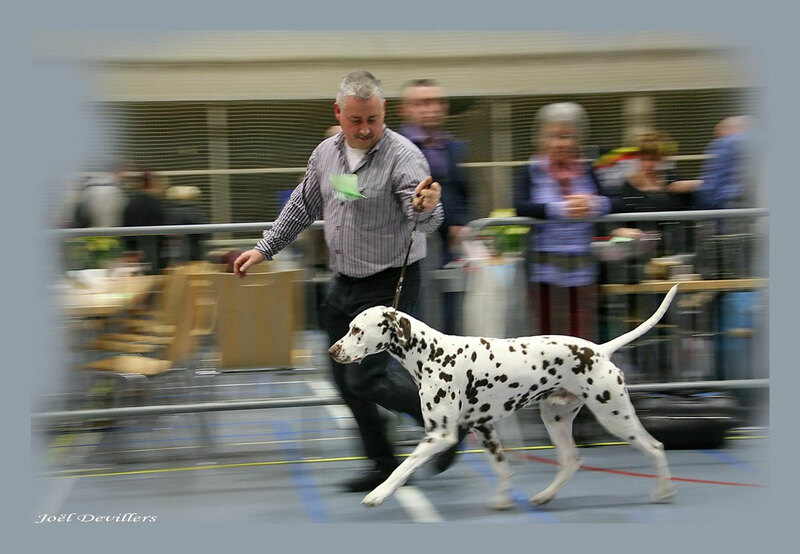 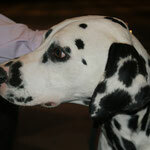 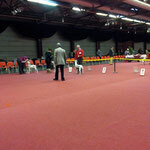 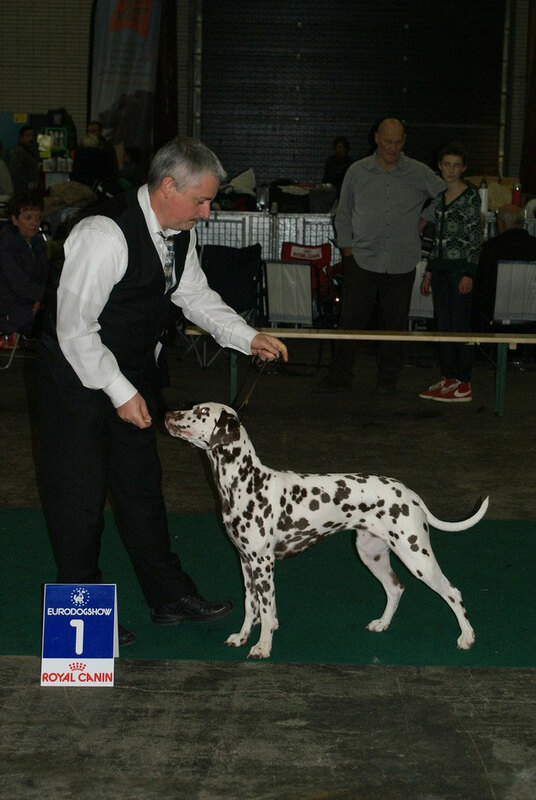 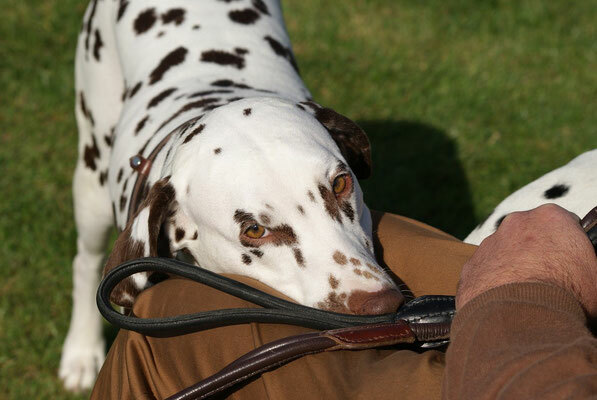 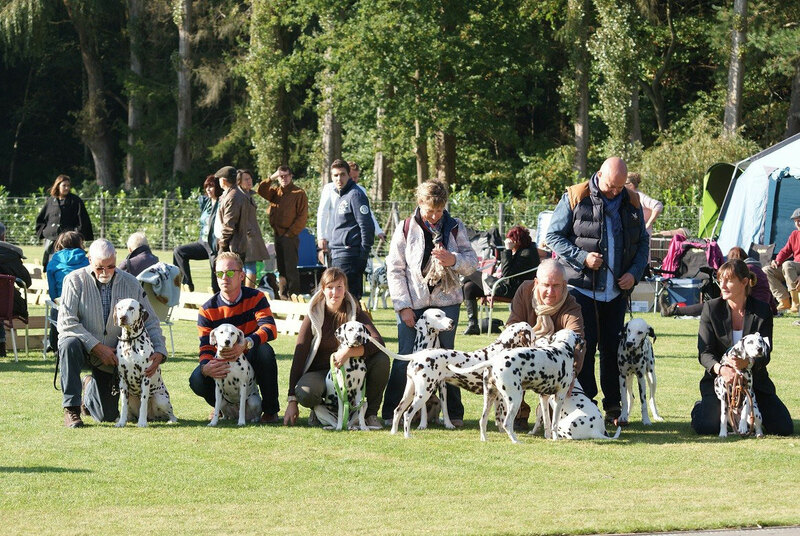 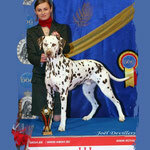 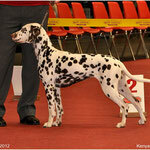 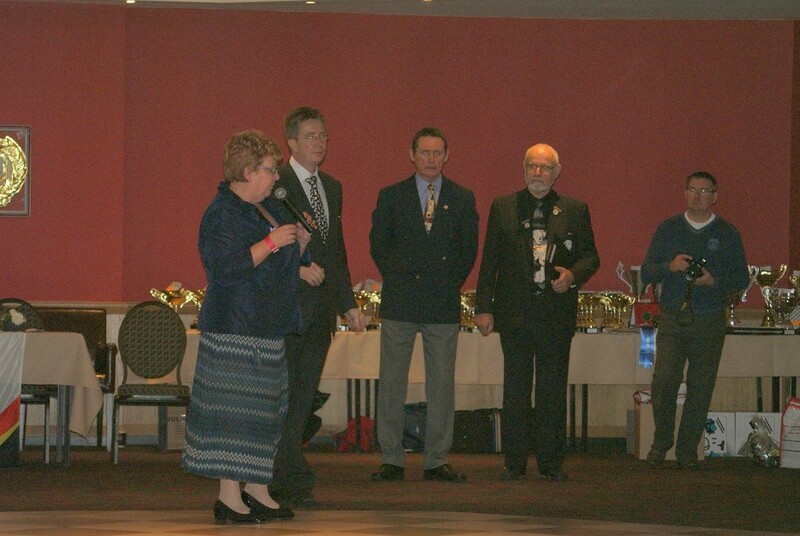 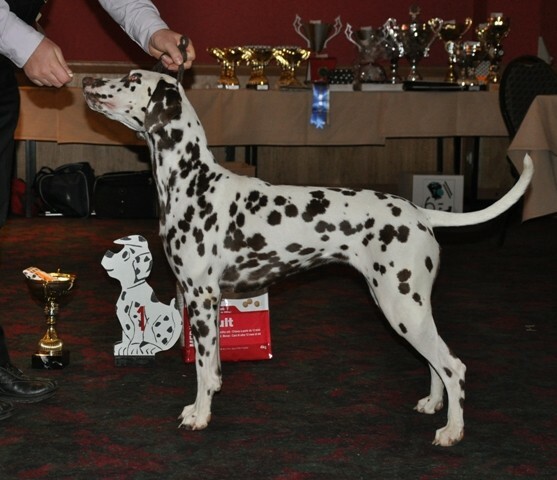 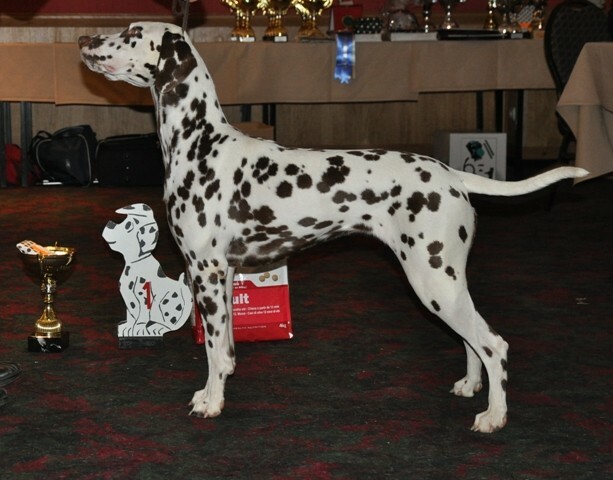 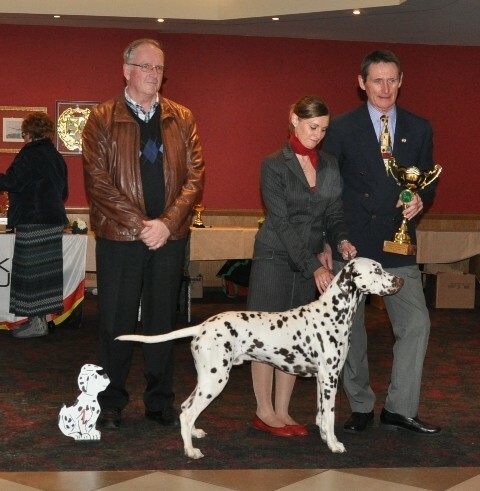 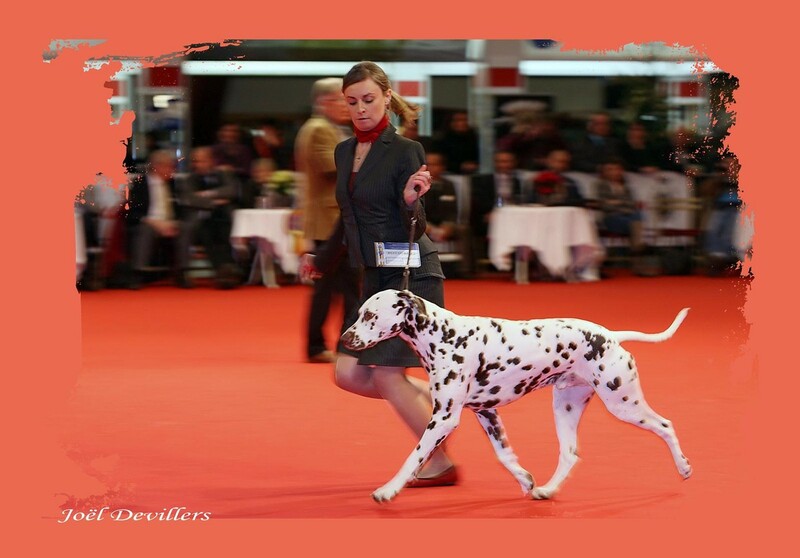 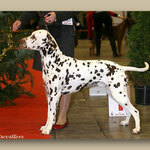 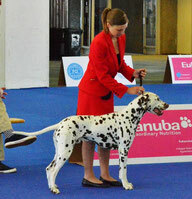 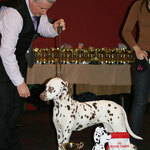 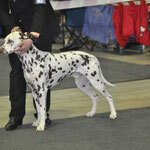 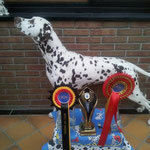 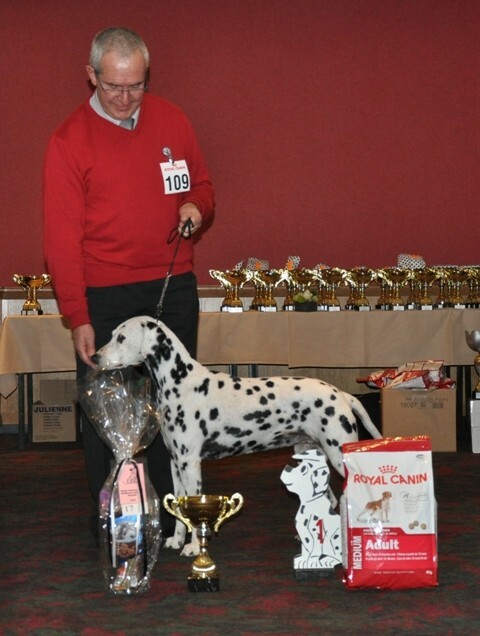 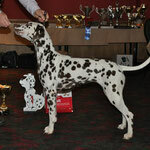 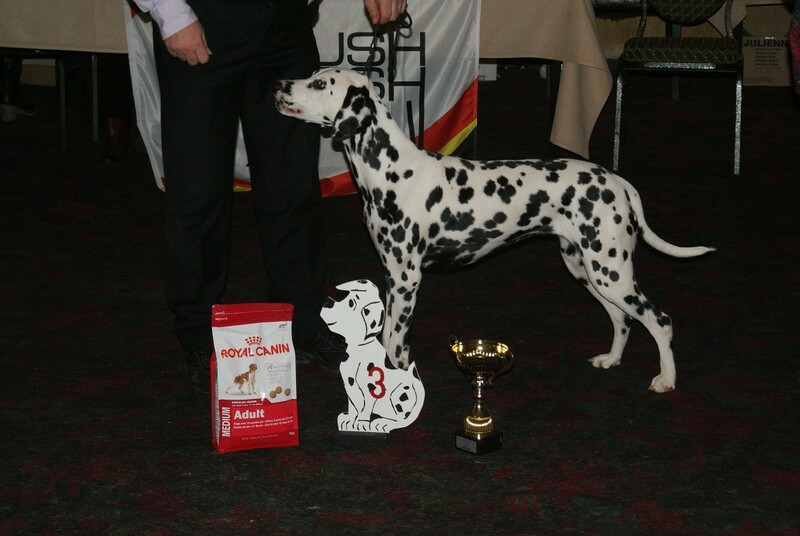 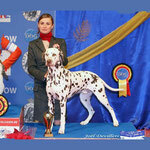 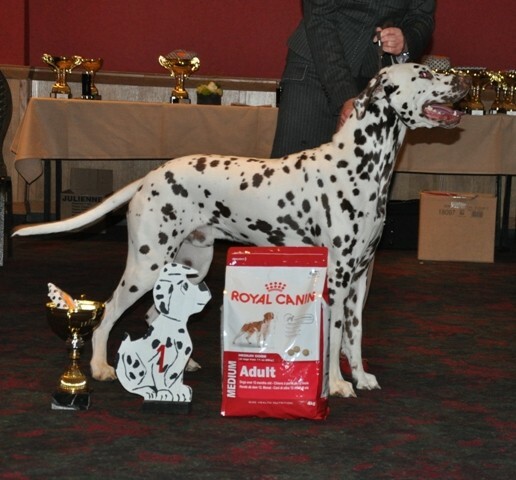 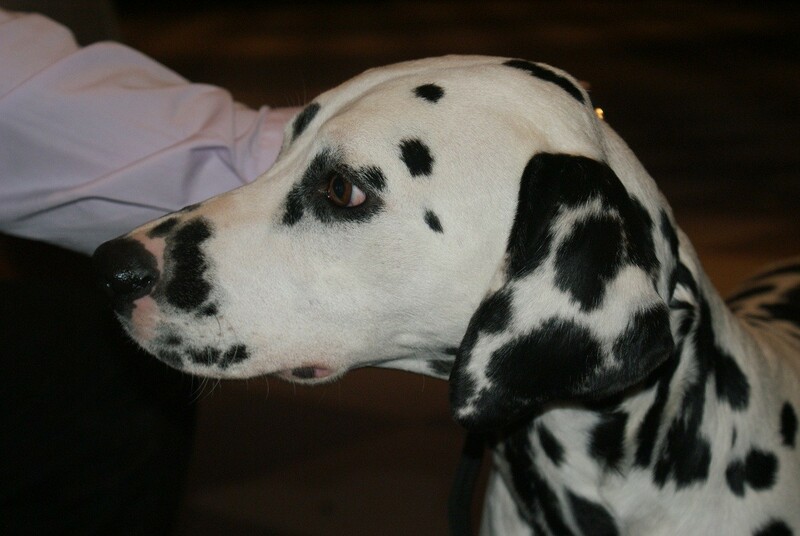 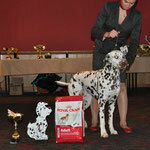 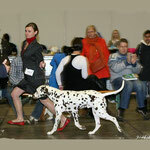 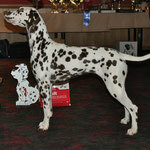 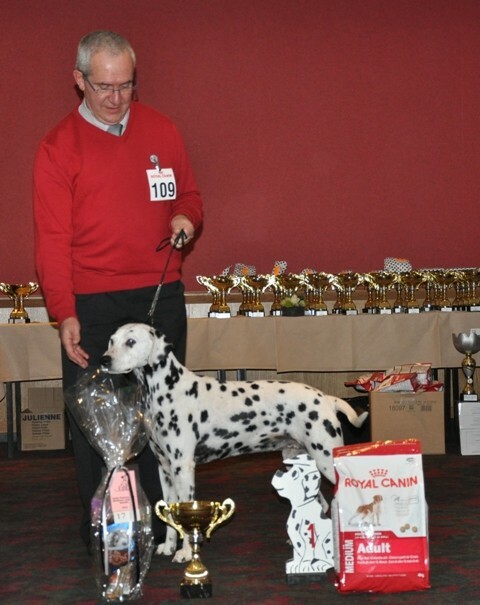 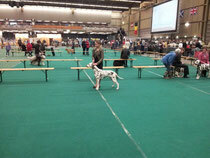 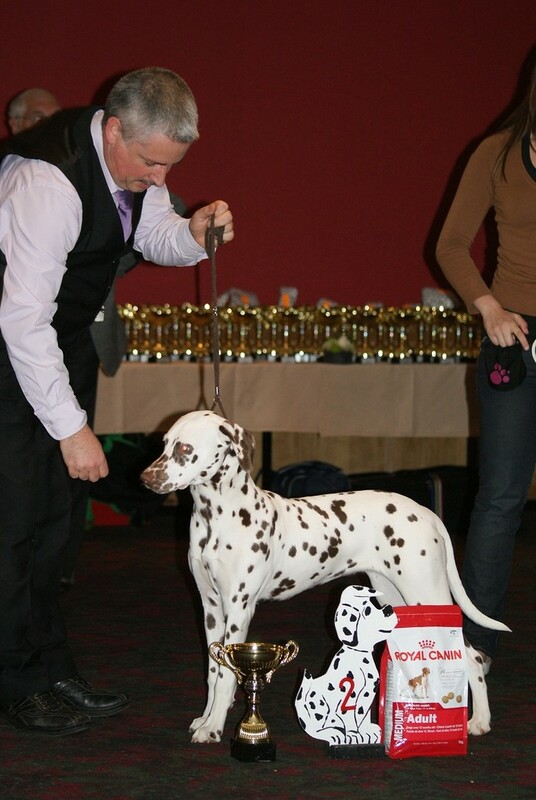 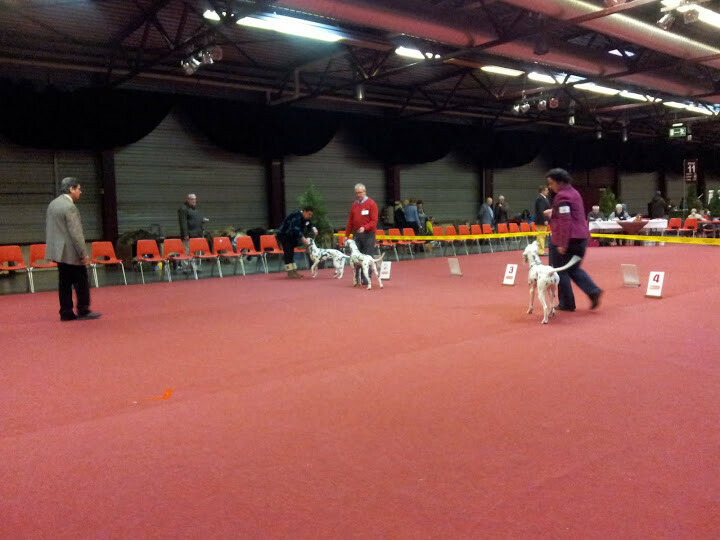 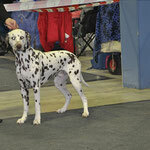 LORS DU BRUSSELDOGSHOW, LE 8 DECEMBRE 2012, JEIRO A OBTENU LE CAC, CACIB, LE BOB, 3° DU GROUPE 6. 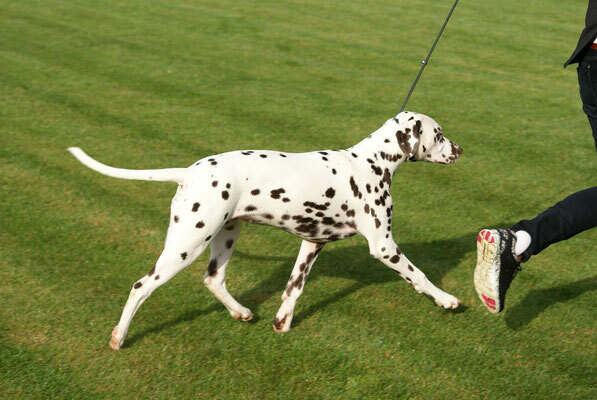 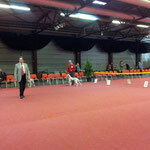 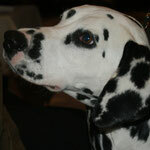 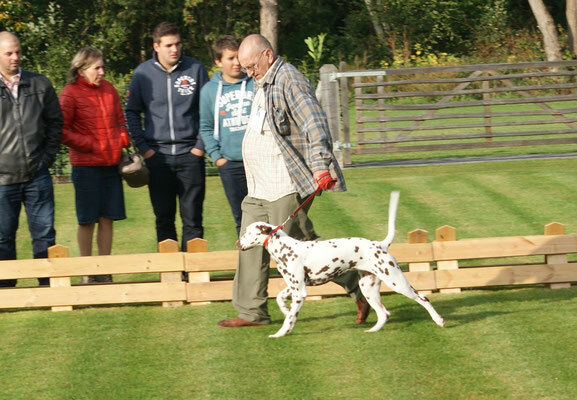 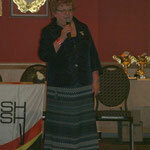 A L'EURODOGSHOW DE COURTRAI, AVEC MR FRANK KANE (GB), COMME JUGE, KENYA, EN CLASSE INTERMEDIAIRE, A OBTENU UN 1° EXCELLENT. 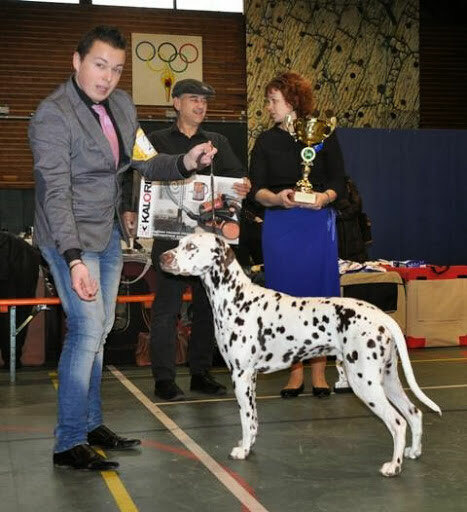 VOIR DANS LA PAGE "LIENS"